Modular trench drain systems are generally manufactured from either polymer concrete, GRC (glass fibre reinforced concrete) or HDPE (High Density Polyethylene). ACO Drain commercial grated trench systems are manufactured from polymer concrete. Other materials do not meet the compressive strength and thermal expansion properties required in commercial and industrial applications. 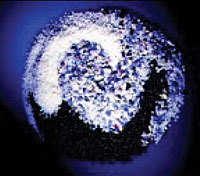 ACO only uses HDPE as a trench material for domestic applications. polymer concrete is a versatile composite material produced by mixing mineral aggregates with a resin binding agent. The finished material has excellent mechanical and thermal properties and offers good corrosion resistance to many chemicals. A maximum working temperature of 82°C is recommended. 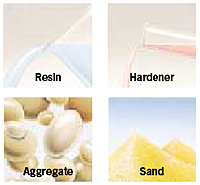 For increased chemical resistance, Vinyl ester polymer concrete is available. This consists of vinylester resin binder with superior silica aggregate fillers. See chemical resistance chart for further details. Due to their structural rigidity, polymer concrete trench drains, when installed properly can be used in a variety of pavement types such as concrete, asphalt and brick pavers. Glass fibre reinforced concrete (GRC) is a mixture of cement, fine aggregate, water, chemical admixtures and alkali resistant glass fibres. GRC is predominantly used for building cladding panels. Cement concrete is Portland cement mixed with aggregates. Generally used for large cast-in-situ slab applications, where mass is required for structural rigidity. High Density Polyethylene (HDPE) is the most common plastic used in trench drains. HDPE is a readily available, economical material that is easy to mould. HDPE has poor thermal properties. A trench drain of 30m in length with an ambient temperature change of 24°C, can expand (or contract) up to 330mm more than the surrounding concrete slab. The concrete surround will only change minimally and cause the trench to buckle or pull away from the concrete.